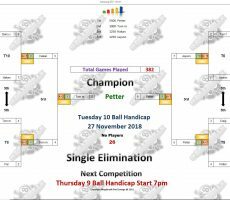 TUESDAY 10 BALL – 27th NOVEMBER : PETTER WINS. 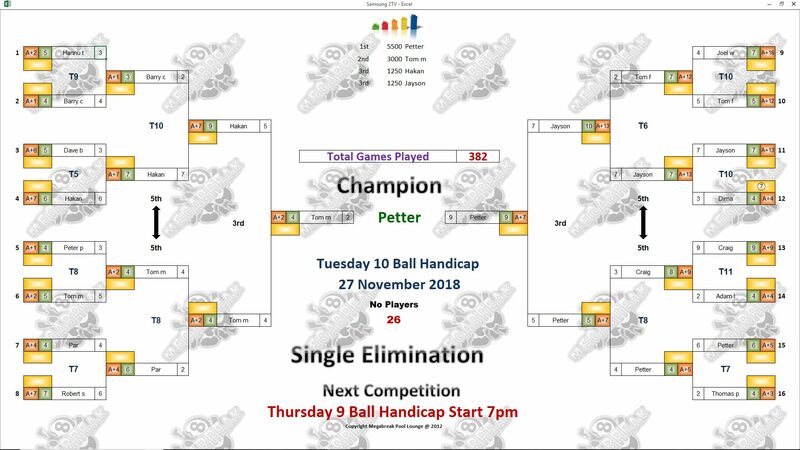 Norway’s Petter Jespersen is our 10 Ball Champion for this week. 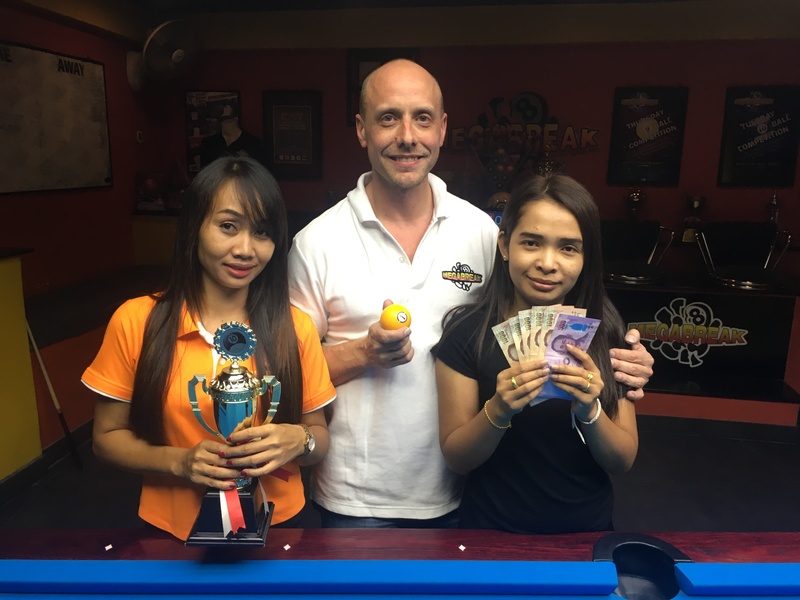 As a new customer to Megabreak within the last two weeks, and playing here for just the fifth time, he showed an improved level of form to claim victory and collect the 1st Prize of 5500 baht. 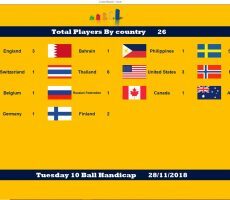 He lost his very first match of the evening in the groups, before raising his game to win his next six and lift the trophy. In the final he beat Tom Moore from The USA to complete an impressive performance on the night. 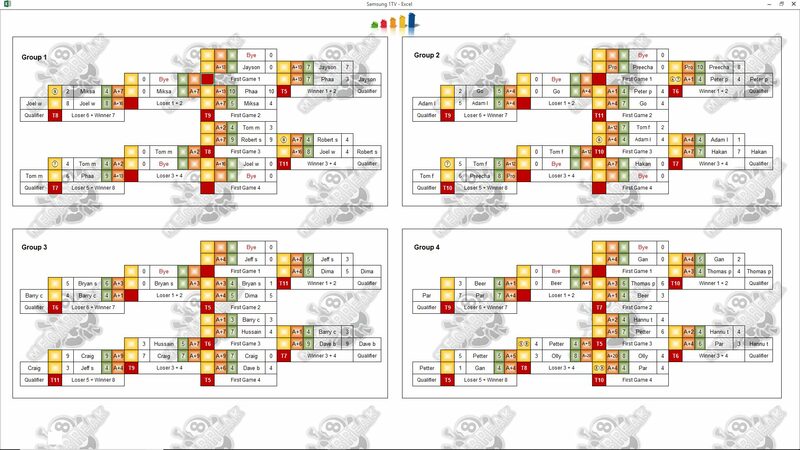 Tom played well to reach the final, but then found our champion too strong, and pocketed 3000 baht in 2nd Place. 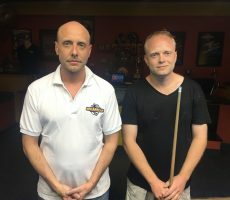 Filipino Jayson de Chavez and Håkan Ekberg from Sweden were the other money winners on the night, each taking home 1250 baht for reaching the semi-finals. 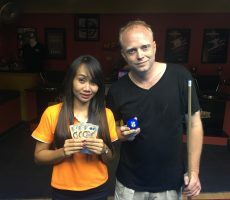 Champion : Petter (A+7) – 5500 baht. 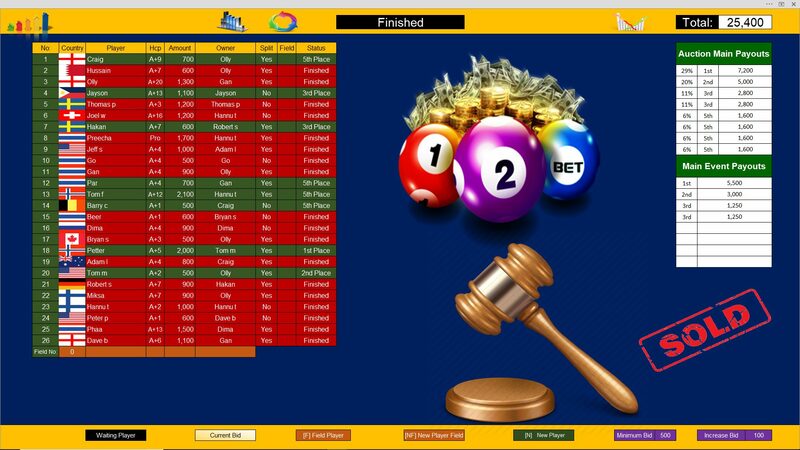 Runner-Up : Tom (A+2) – 3000 baht. 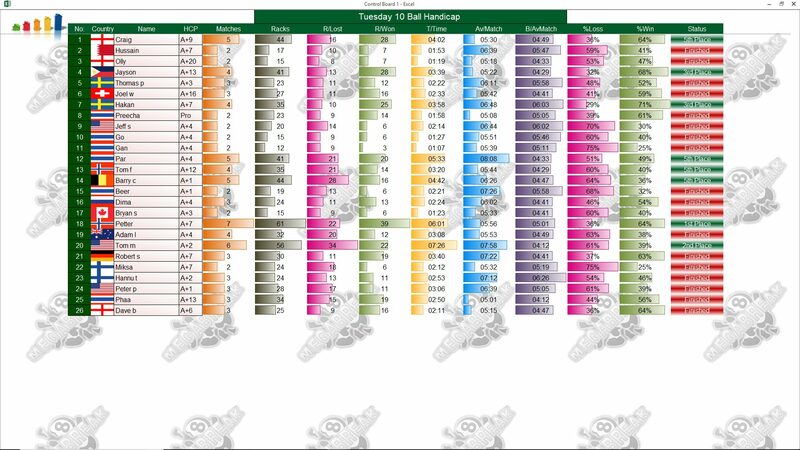 Semi-finals : Jayson (A+13) and Hakan (A+7) – 1250 baht each. The Player Auction Prize Pot totalled 25400 baht and was won by our Runner-Up Tom. 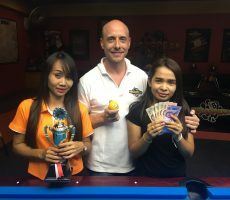 Consolation for him losing our to Petter in the final was that they shared the 1st Payout of 7200 baht. 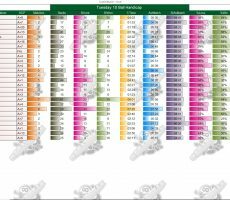 1st : Tom (Petter) – 7200 baht. 2nd : Olly (Tom) – 5000 baht. 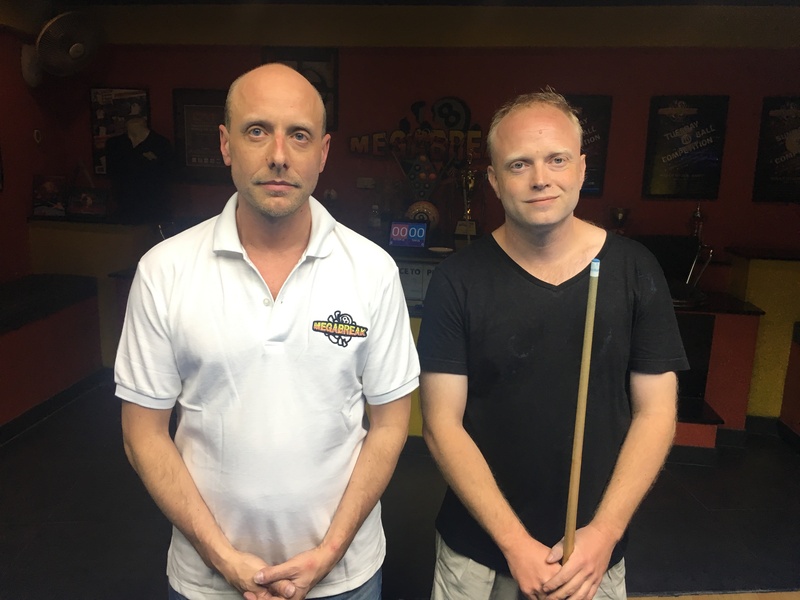 Equal 3rd : Jayson (Himself) and Rob Schnabel (Hakan) – 2800 baht each. 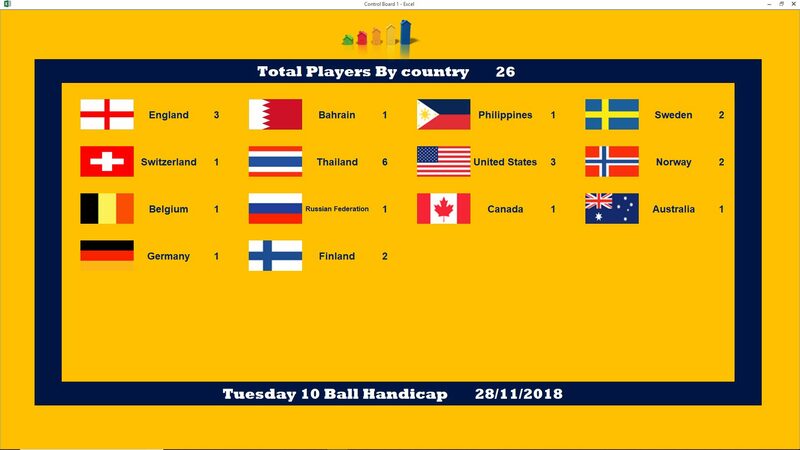 Equal 5th : Hannu (Tom Fossum), Olly (Craig), Gan (Par), and Craig (Barry) – 1600 baht each.